I'd say he needs to enter into the Danger Node. Considering the salt content, Ramen definetly counts as Danger Noodles. Right up there with lead pipes and vipers. 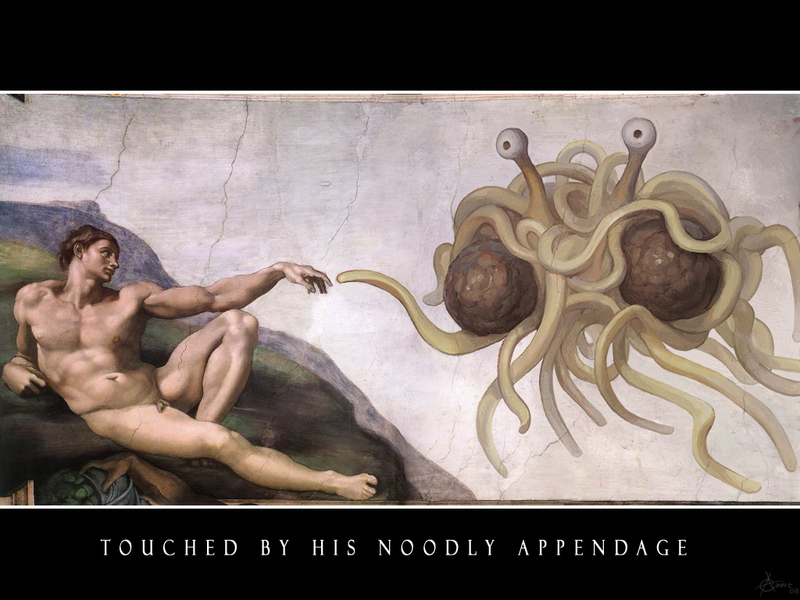 <dons steel colander> May you be touched by his noodly appendage! ... a device dubbed DARKNESS. It stands for the Dark-speckle Near-infrared Energy-resolved Superconducting Spectrophotometer. Experience is what you get when you didn't get what you really wanted. so experience is socks from grandma? I've given it some thought and 1976 was my favourite year. ... so experience is socks from grandma? No, the socks are merely a by-product of the experience. And a very useful by-product, they are too! You should consider yourself lucky - all I ever got from my gran was jigsaw puzzles. But you're correct, Cody. It may have had something to do with the weather. Good grief - the horror! Dammit, I wish I hadn't used that song from Heatwave. I've had to replay it several times to satisfy my soul. I have added a new "fun" option to the forum's post editor. It can make you a ninja. I have added a new "fun" option to the forum's post editor. It can make you a ninja - as long as nobody quotes you. Well, I'm intrigued, Nathan. But why did you post this in the random thread?